There is nothing better for travellers to enjoy than a spa holiday where they can relax with family, friends or colleagues. Some people have rarely or have never been to a wellness centre, so will be unsure of spa rules. There are certain things to consider when venturing to a spa, so tourists must be prepared to ensure they make it a memorable experience. Hotels can provide many items for the spa trip, but there is much a visitor can do before the break. One of the most important things to consider when heading on spa holiday is what to take in a suitcase. In the daytime tourists will be spending a lot of their holiday in a robe, which should be provided by the spa facility. Something that travellers need to bring is a swimming costume. There could also be exercise sessions including yoga or tai chi, so travellers must bring gym clothes and appropriate footwear for those periods of the day. The spa might be based in a pretty part of the world and tourists may want to have a wander outside. For this guests must pack a warm fleece and walking shoes for their stroll around the grounds. Many spas can be quite upmarket so visitors may have to take smart evening wear for dinner. Usually taking clothes that are smart-casual is the best idea to be able to straddle both worlds. The items a person should wear must be comfortable as the whole point of heading for a spa break is to feel completely rested. Spa retreats are often quite relaxed about what people wear, but accommodations with a spa may have their own dress code created for their restaurant, so it is best to check before heading there for dinner. 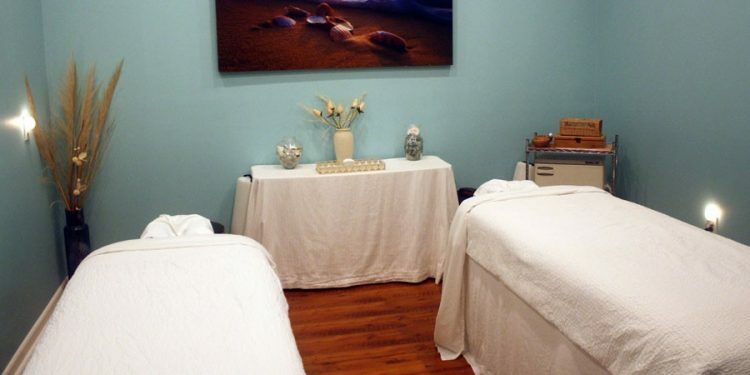 There are many excellent spa in Ocean City, MD, that are perfect for a break to completely unwind. Tourists heading to the Grand Hotel and Spa will adore staying at this accommodation that offers such brilliant amenities including a mini-fridge, television and coffee maker. The air-conditioned living spaces are ideal for business and leisure guests who want to feel at home as soon as they arrive. The Aqua Day Spa is a wonderful feature that provides a range of top therapies that will allow tourists to unwind during their holiday. There is also a fitness centre and sauna that travellers will adore when they head there. The residence also has indoor and outdoor pools, as well as five restaurants with a variety of food on offer. Many spas already have robes so travellers do not have to take any with them, and they will be available in a range of sizes. It could be the wellness centre does not provide spa shoes or slippers, so tourists must take their own or find out if they have any. It is a superb idea to put on a swimming costume underneath a robe before heading to the spa, especially if tourists are going straight to the Jacuzzi, steam room or sauna. There will usually be a spa locker available for any personal belongings, or guests can leave items in their hotel room.